Madeit is an online shopping site for Australian handmade items. 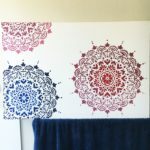 When I decided to start my online store I considered Etsy but decided to go with the Aussie option and support another Australian working online. By using Madeit, I don’t have to worry about the site set up and tricky website coding stuff. I just load my items into their system for a small fee. Madeit is getting bigger every day and I love that they do lots of promotion so that I can concentrate on sewing rather than advertising. To use Madeit as a buyer or seller, you need to register. You can read more about that here. You choose your user name and set a password, then you verify your account. This is no different to many other shopping sites and helps protect buyers and sellers. Set up a store front. It’s free. It means that you have a page where all your items can be seen together which is helpful to buyers. You can upload a banner. You’ll see my store front here and notice that I used my blog header as the banner. Set up store categories. You can go with the default categories for your items, but custom categories means you can group your items in ways that will help your buyers find them. For example, all the kids clothes in one category or the homewares together. Great photos are a must. It is your photos that draw a potential buyer to click on your item. Make sure your best shot is the first in the listing so that it appears larger than the others on the page. Remember your photos will be cropped square. If you load them as rectangles, they will be cropped square at the bottom of the item screen. This may make them look odd. I crop all my photos square myself using Picasa so that I control what shows up on the screen. Use the gift guide option. I put about every 5th item I list into a gift guide category, and I try to have them in different categories. On weekends, the front page of Madeit often shows items from those gift guides, so it is worth having your items in there. Details are important. When you list an item, think about all the things you can describe about it – size, shape, colour, fabric type, how you made it, etc. Write also about how a buyer might use it or who they might give it to as a gift. You don’t know which little detail might strike a chord with a buyer. If you have other colours in your store or you are prepared to make a custom version of the item, make sure you write that. Encourage a buyer to ask questions if they have them. Answer questions and sales emails promptly. People who shop on Madeit, generally keep shopping there from what I can tell. So answer questions and acknowledge sales to build relationships. I try to send an email straight away to say thanks for shopping and telling them when I will mail their item. Include the words people might search for. I often search for items on Madeit. So think about what descriptive words people might use to search for your item, and include them in your description or title somewhere. Give feedback. I usually wait a couple of days after I post an item out, then go and give the buyer feedback on Madeit. My theory is that by then they have received my item and are likely to give me feedback too. Having feedback from your customers builds confidence for future customers. Put some extra business cards in each parcel. You never know who that happy customer will hand those cards to. Be friendly. If you see something you love, send them a comment saying so. If you write a blog post about items you’ve seen, let the sellers know. If you see a glaring mistake in someone’s listing, nicely give them a heads up. All of these are things you’d like to happen to you, I think. Take advantage of Madeit’s advertising spots. I have found that when I spend a little money for an ad spot in the sidebar of the Madeit site, I do get an extra sale or two. They also offer advertising spots in their email newsletter. Talk about your store everywhere. I talk about my store regularly in real life to my friends and family. I share my business card with other mums at school. I mention it often on Facebook, Twitter, Google+ and my blog. Spread the word. It can only help. Don’t stress if it takes a while to sell something. It is hard to be patient, I know, but it can take time for people to find your items, just as it would take time if you set up shop in the real world. My first sale was to a friend who then wrote nice feedback and that seemed to add credibility to my store. Hopefully if you do some of the things above, it won’t take forever! I am by no means an expert on Madeit or online selling, but I am learning and I can see my business slowly growing. These are things that seem to be working for me. When I threw out a question on Facebook, I got similar tips from Jan too – thanks, Jan! Do you sell on Madeit? What’s working for you? Do you have tips to add to the list? A very interesting post which has given me lots to think about – thank you. I have forwarded it to my DD to read too. Are you thinking of setting up shop, Lynne? Glad to give you some ideas. I think pricing is the hardest thing, Sally! Someone told me to take the cost of materials, double it and then add some for your time and skills. I don’t always follow that rule, but I do often ask my friends what they would be prepared to pay for an item. I’ll see what I can find out there in the blogosphere about pricing and let you know. Also you might want to try the Madeit forum – there’s a link from the Madeit site, at the top I think. Hi!! Thanks for those tips, i had heard that ‘formula’ before and i do use it as a rough guide!! And i feel the same about – would i pay that for that item or not, and i also go on that. Thanks again. thx for the tip on cropping photos square. it’s worked a charm, now my entire tea cup vases are showing in my photos! yipeee…. would you happen to know what size square you resize to? just wondering if changing the size of the square could also improve the photos…? i had been following madeit specifications of the longest edge being a max of 700px, now [in picnik] i resize to a 700 x 700px square as you kindly suggest and i’m delighted with the improvement! so thanks heaps!!!!!!!!!!!!!!!!!!!! You’re very welcome, Ceri. Glad it helped. I export mine at 640x640px but only because that’s one of the preset options in Picasa so it is easy to choose. many, many thanks crafty mummy for the tips, prompt replys and twitter acknowledgement. Thank you for a great post! I have been deciding which selling platform to chose and have been looking at madeit. You post is clear, simple and really useful. Thank you for sharing! You’re welcome, Gayle. I don’t sell much at the moment but I would still recommend Madeit.